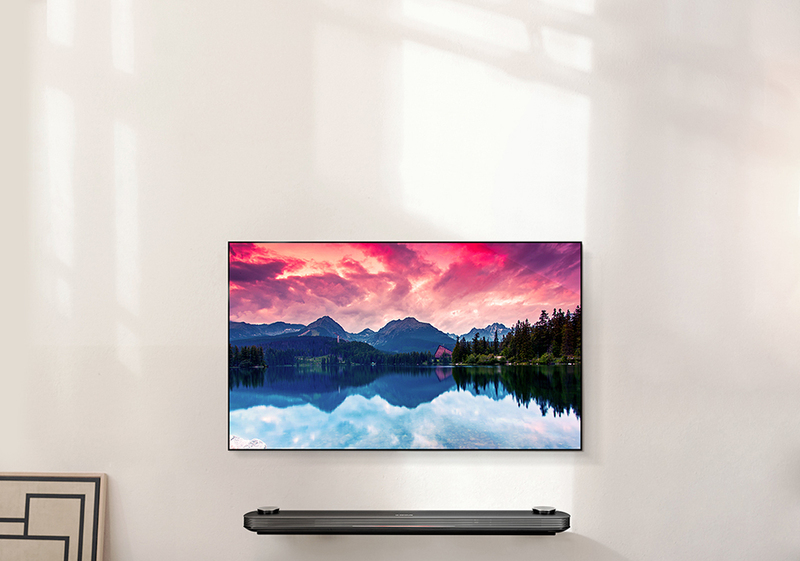 LG’s new “wallpaper” TV gets its moniker from the fact that its OLED panel is just 0.1″ thick – it’s so thin it can only be wall-mounted. 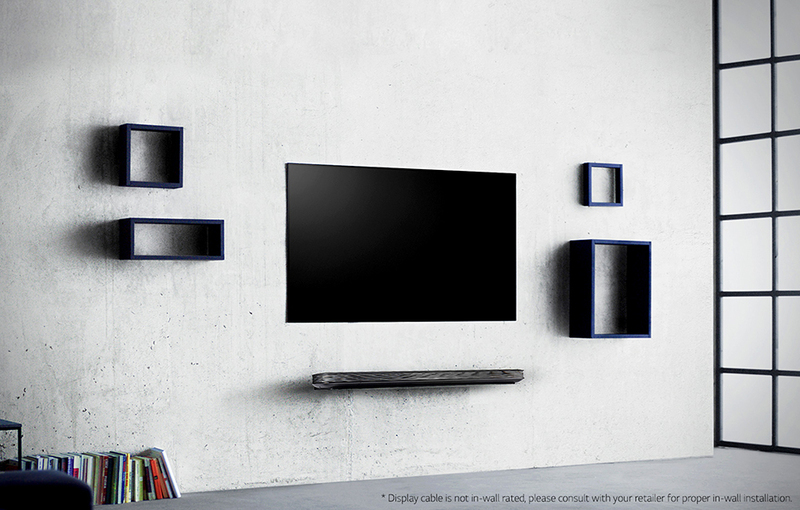 All of its ports and other electronics are integrated into a Dolby Atmos 4.2 soundbar, connected by a skinny ribbon cable. 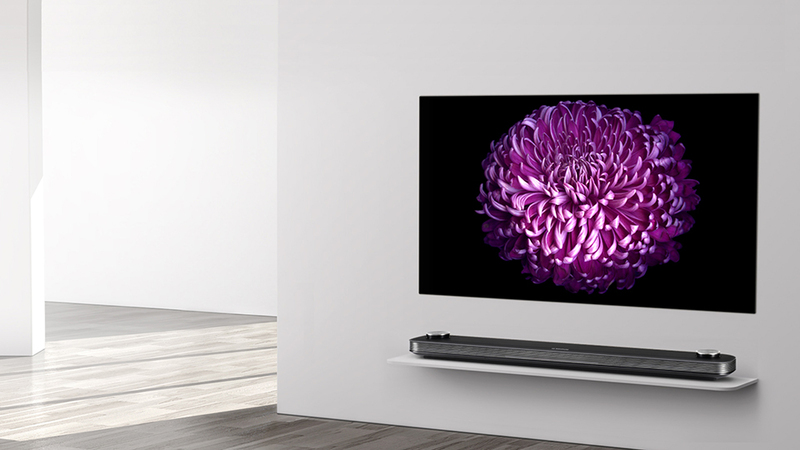 Available in 65″ or 75″.